Geologist Jeffrey Karson is no stranger to watching the Earth bleed. He has closely observed molten lava snake down a slope, the material puckering and buckling into an array of patterns. It feels like standing next to a campfire or a wood burning stove at a safe distance, says Karson, but the angry amber glow screams a warning of scorching heat. The air is filled with the scent of charred earth, and loud crackles, hisses, and pops. If Karson is lucky, he might be able to hear a soft tinkling, like wind chimes, as the lava solidifies into glossy black and then cracks. “We don’t get very much of this, but sometimes little pieces of glassy lava comes tumbling down the slope and in front of the flow it makes this sort of fairy castle sound,” Karson says, or “lava chimes,” as he calls it. 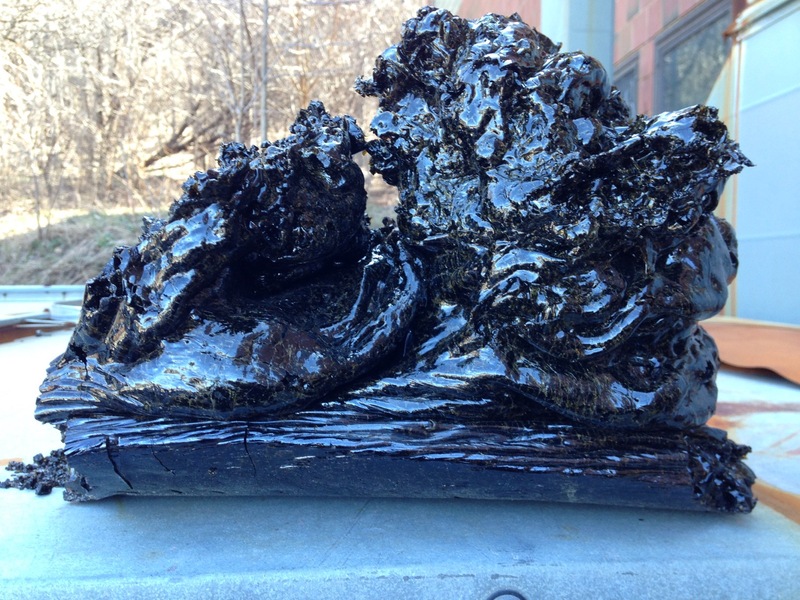 A lava sculpture, from the Lava Project at Syracuse University. But most of the time, Karson isn’t out on one of his yearly field work expeditions in Iceland. He’s usually seeing lava in a parking lot in upstate New York. 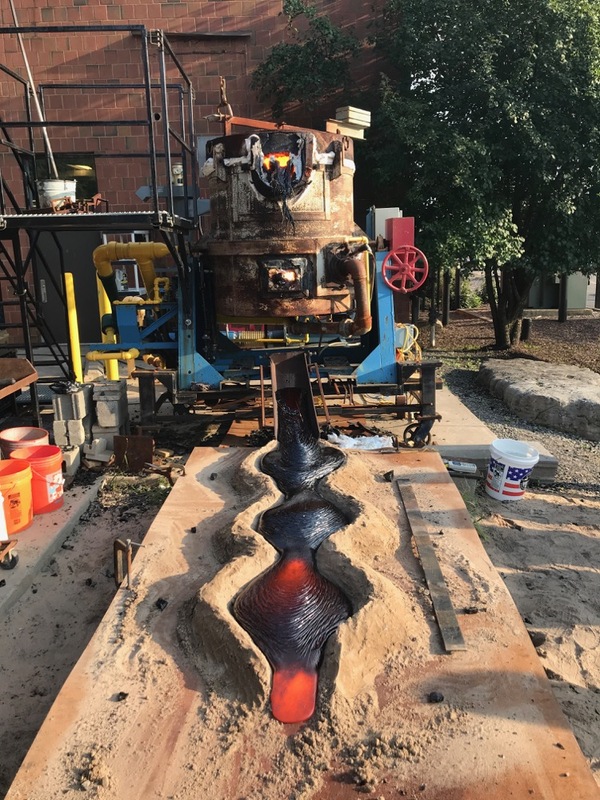 The lava flows are cooked up in the lab at the Lava Project at Syracuse University, where Karson and artist Robert Wysocki use the molten material to create sculptures and conduct scientific research. This tilt furnace is the “work-horse” for the Lava Project. The team tests a made-up channel out of sand. 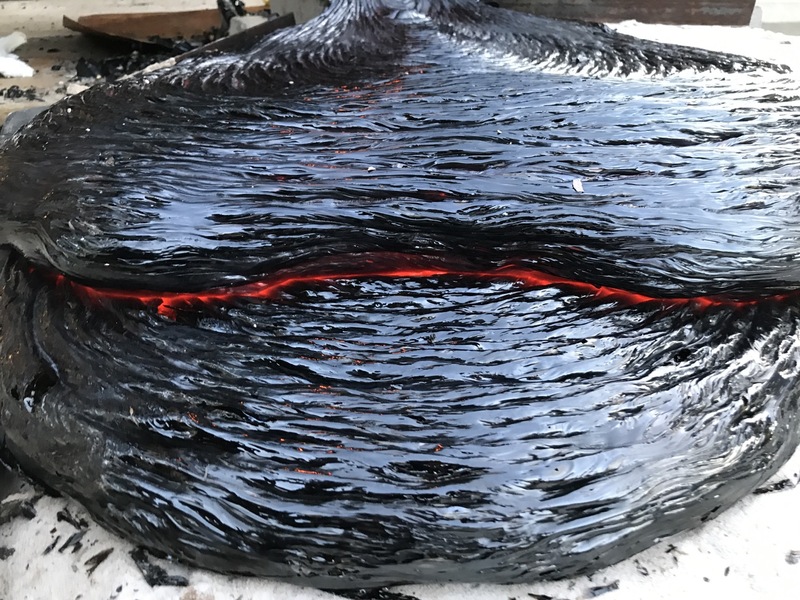 The lava-making operation allows Karson and other volcanologists to refine lava flow models, design diversion walls, and observe how lava interacts with different substrates, like snow, water, or wood, that may show up in its path. But with a gas-fired tilt furnace, the team rejuvenates anywhere from 200 to 700 pounds of basalt back into flowing rivers of red and gold. The crucible, about half the size of a bathtub, stews the rock like a slow cooker before pouring it out at temperatures reaching as high as 2,200 degrees Fahrenheit. That’s five times hotter than baking pizza in a kitchen oven. The color of the molten lava is a good indicator of its temperature. You can compare a lava flow in natural light (left) to the same flow captured in infrared (right), which reveals the temperature. When it is a bright orange, the shade of “Syracuse Orange”, it is about 1000°C (1832°F), says Karson. The Lava Project also gives more opportunities to collect data on lava flows to volcanologists and geologists, like Einat Lev at Columbia University, who is often at the mercy of nature. The controlled pours in the lab are also a testing ground to try out methodologies for the field. For example, Lev was able try out new data collecting and filming procedures at the lab in 2012, which she later used to record more detailed views of the lava flows during the May 2018 Kilauea eruption in Hawaii. Many variables influence lava flow, from the temperature, the slope of the hill, the material it flows over, to the viscosity. 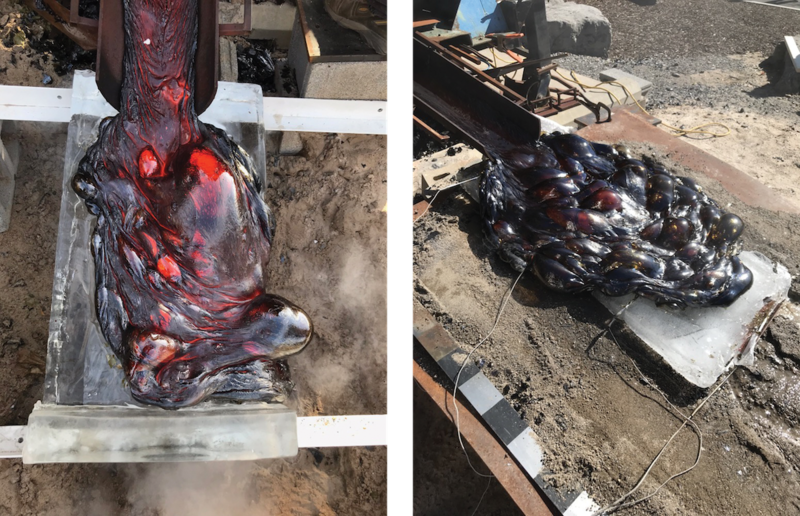 “It isn’t like you can separate them easily in natural lava flows, so one of the things we try to do is isolate those individual parameters and see how they affect the lava,” he says. 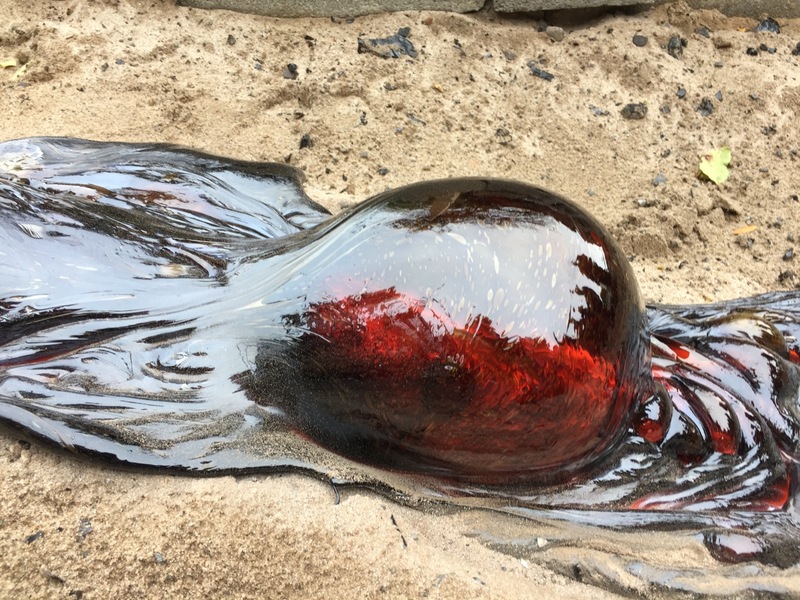 The viscosity, for example, can determine everything from how fast the lava moves, to when it will stop flowing, to its final shape, Karson explains. In the lab, they’ll manipulate the consistency by changing the amount of crystals in the lava, the composition, or the heat. The lava’s viscosity can also inform researchers about the type volcano and its shape. For instance, if the lava is like runny honey it might gush from a shield volcano—the thinner material flows readily, but doesn’t bunch up and results in gentle slopes. On the other hand, lava that is like gloppy peanut butter tends to be from more explosive volcanoes, explains Karson. (“I always get hungry when I’m talking about these things,” he says.) The more viscous lava stacks up, resulting in steep-sided volcanoes, such as those around the Pacific Ring of Fire or the Andes, he says. 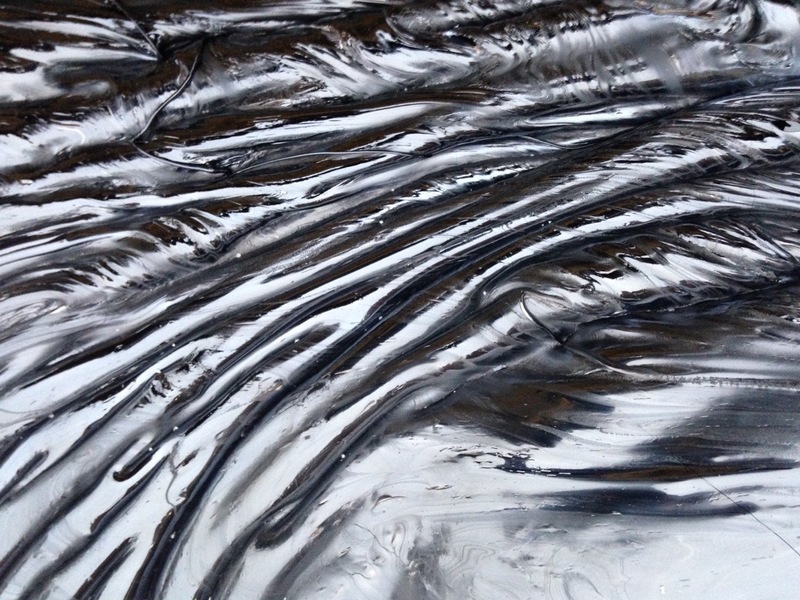 Wysocki and Karson want to try to emulate these various volcanic terrains in landscape art in the lab—everything from the “whipped cream” mountains to the rolling “maple syrup” slopes to the shimmery, three-dimensional “lava landscapes that you would see in Iceland or Hawaii or on the bottom of the ocean,” he says. 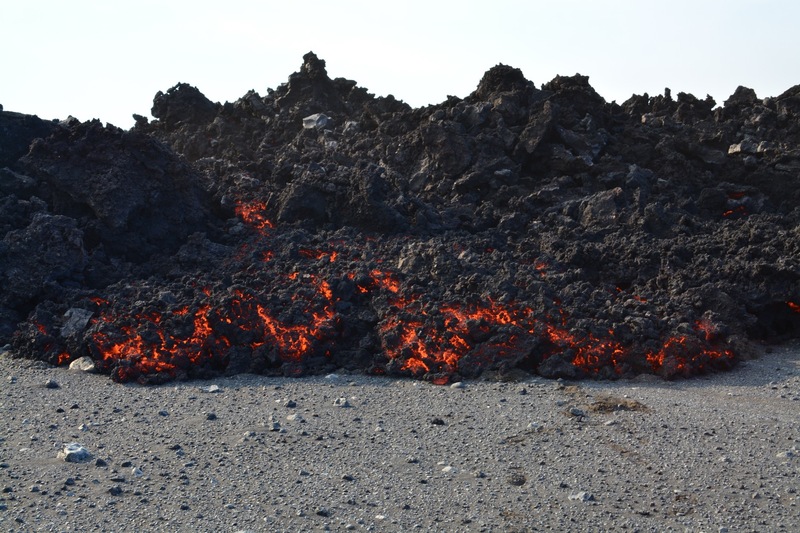 An advancing lava flow from Holuhraun, a large lava field just north of the Vatnajökull ice cap in Iceland. Active volcanoes are dangerous, and lava can eat up and destroy everything in its wake. But by studying them in an upstate New York parking lot—miles away from volcanic activity—researchers can learn more about this monstrous material in a controlled setting. For Karson, there’s beauty in the dangerous power of nature. Explore the wide variety of lava art (and learn about the science that created them) from the Lava Project below. All photos are courtesy of Jeffrey Karson and the Syracuse University Lava Project. 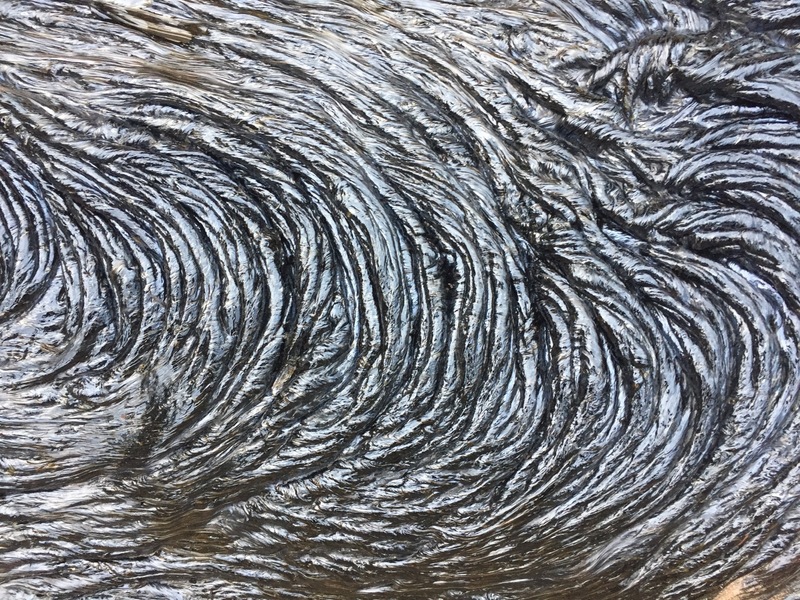 The ropy bands seen in many lava flows is a distinct characteristic of one of the two major types of basaltic lava flows seen in nature: the pāhoehoe flow. It’s a Hawaiian term that describes a typically slow-moving, smooth lava flow. 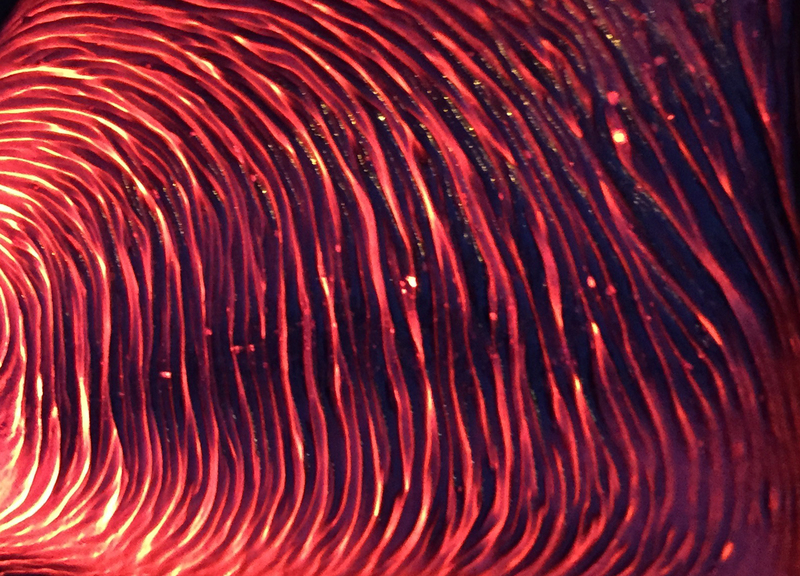 This glassy flow has a “typical ‘licorice’ texture,” says Karson. The team published a paper in 2018 that investigated the buckling of the folds in lava systems. Out in the field, lava flows over itself and old, solidified lava. Here, the researchers observe the contact between stacked lava flows. This large bubble (about 15 centimeters) percolated over wet sand. Almost anytime lava is poured over a wet material, the heat causes the liquid to vaporize into steam, Karson explains. The escaping steam collects under the lava, blowing bubbles “like blowing bubblegum or balloons” until the skin stretches so tight it bursts, he says. The lab has created lava bubbles over the size of grapefruit to basketballs. 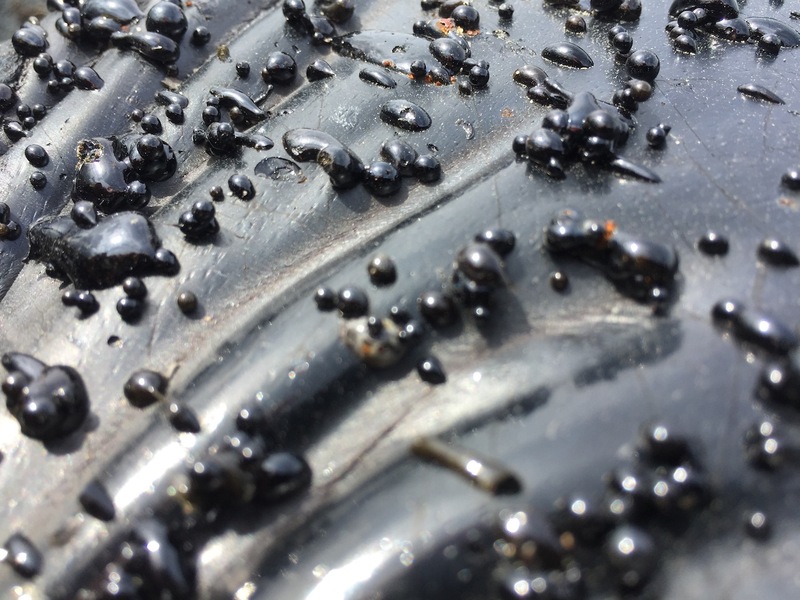 But, “they all burst or are too fragile to survive,” Karson says. 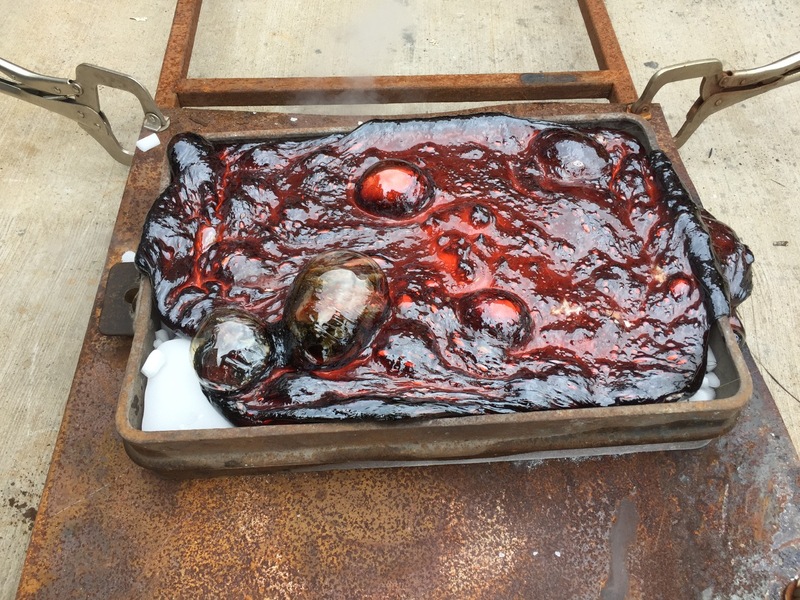 Here, lava bubbles over a pan of dry ice. Ice and snow can create a vapor cushion, causing the lava flow to skate across the surface “like an air hockey game,” Karson explains. “It’s very unexpected, and is also a real potential hazard in places where lava flows interact with ice and snow… like Iceland where lava flows occur near the glacial ice caps or Siberia, for example.” Read more about the Lava Project’s findings on lava and ice interactions in this 2013 Geology paper. These tiny “beads” (0.5 cm) are little droplets of lava that formed when molten material sprayed out of the furnace during an art demonstration by Robert Wysocki in Toronto in 2015. Occasionally down wind of volcanoes, fine strands of hair can blow in the breeze. 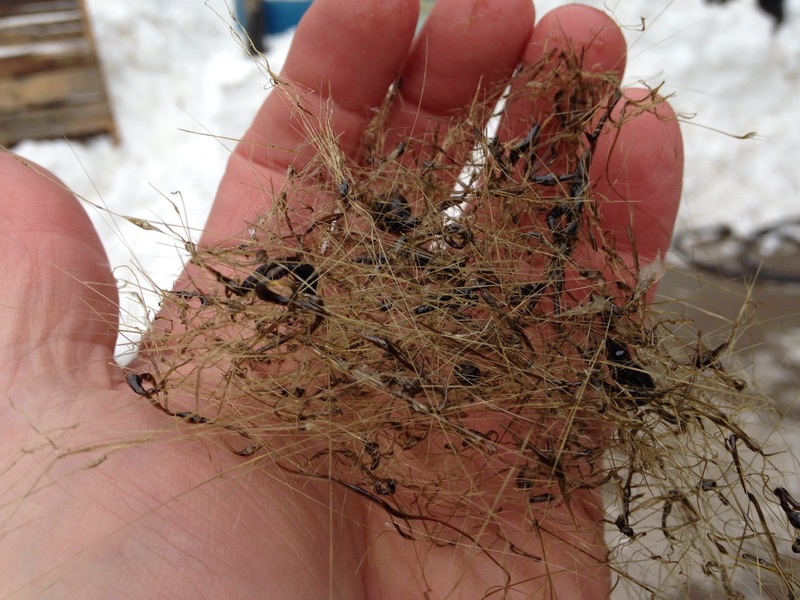 This “hair” is actually volcanic glass fibers called “Pele’s hair,” named after Pele the Hawaiian goddess of volcanoes. In nature, the filaments usually form by stretching from lava fountains, cascades, or vigorous flows—but Karson's team can make it in bales by sieving the lava in the lab. 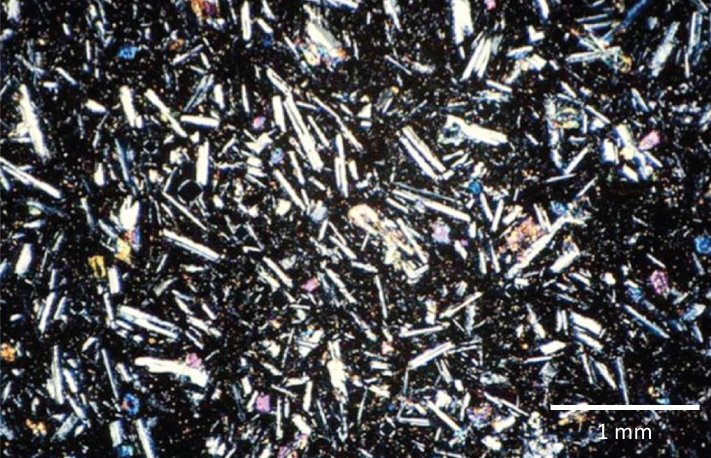 A photomicrograph of a typical basalt (Mid-Atlantic Ridge) with glass (black) and tabular feldspar crystals. The researchers can increase the viscosity by adding more crystals to the lava. 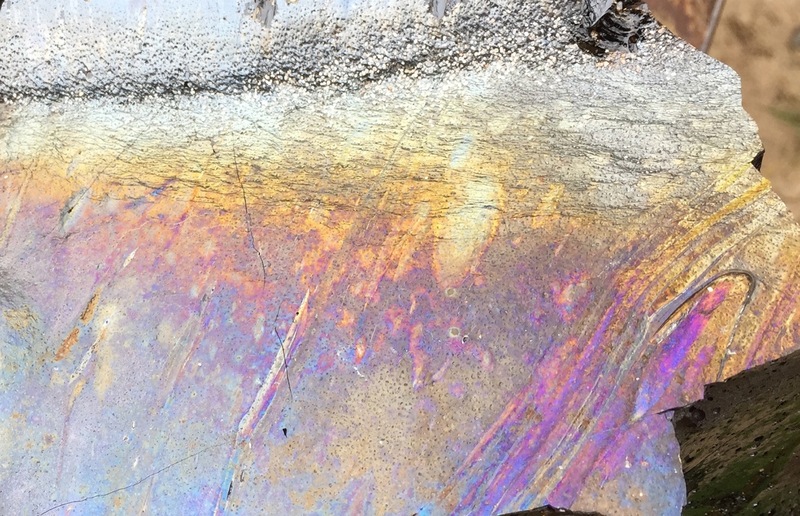 A "spangly rainbow" lava surface. Do you have an eye on a Sci Candy? An image is worth a thousand words—or maybe even a Sci Candy. Know an image that captures a fascinating science concept? Send us your story! Email scicandy@sciencefriday.com.